When I decide for a minimal look, I often create minimal luxe styles when exploring America’s hip cities. Minimal luxe is a type of unfussy style that still manages to be a luxe form of understated, urbane elegance. Think clean, architectural styles with a twist mixed with glam, edgy pieces. Below are a few steps to help create a stunning minimal luxe look. Go for modern and clean lines and easy silhouettes. Count on navabi dropping classic and gorgeous minimal luxe styles for Autumn. 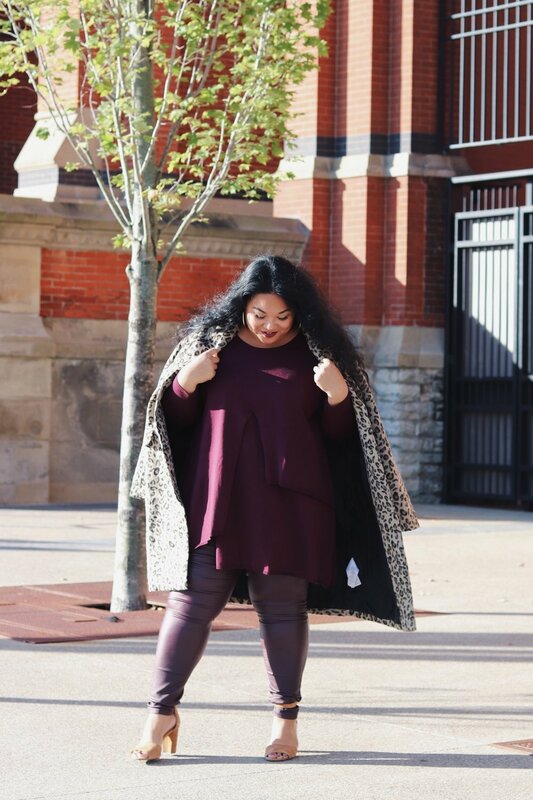 This complete navabi look had me feeling regal, grown, and edgy yet classy. Let’s talk about this fine knit tunic sweater with a modern twist. The asymmetric hemline flows with every move and the cotton blend fabric felt heavenly against my skin. Investing in a fine knitwear is key for Autumn and Winter months to stay warm without feeling hot from scratchy-feeling poly. Pair basics with edgy and laid-back details. I paired my tunic sweater with this color-matched gorgeous leather-effect stretch jeans from navabi. I wore this outfit strolling around Washington Park during a long weekend in Cincy, Ohio and I must say, these jeans saved me from Cincy’s Autumn chill. Constructed with stretchy soft viscose complete with an elasticated waist, these rock and roll jeans was perfect for city adventures. Resort to longline jackets, capes, or timeless prints to make an effortless statement. Autumn in the perfect season to show-off its classic essential print- leopard. 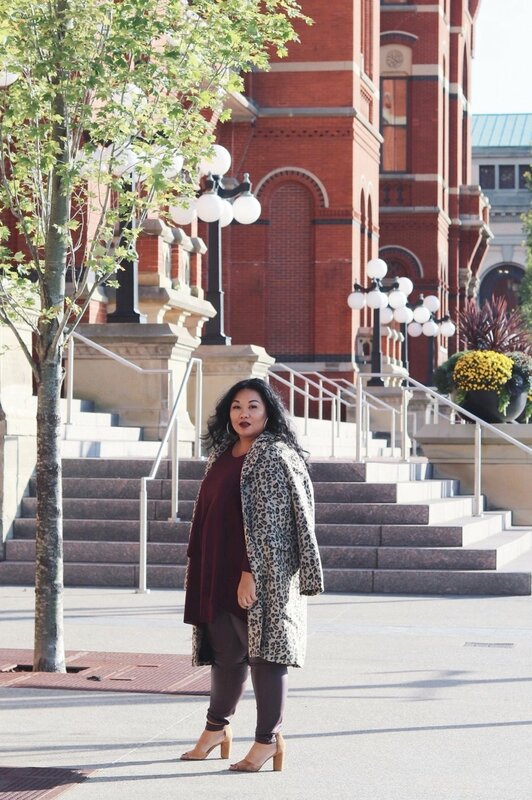 This straight-cut leopard coat added the uncomplicated luxe factor to this whole outfit. Minimal does not have to mean boring so don’t be afraid to add statement pieces to essentials. DISCLAIMER: I WAS PROVIDED WITH A FREE PRODUCT IN RETURN FOR A FEATURE POST HERE AT WE ARE BEBOT BLOG. ALL THOUGHTS AND OPINIONS EXPRESSED HERIN ARE MY OWN AND NOT INFLUENCED BY THE DEVELOPING COMPANY, AND/OR ITS AFFILIATES, IN ANY WAY. COPYRIGHT© 2017 WE ARE BEBOT. ALL RIGHTS RESERVED.